Used tires vary greatly in quality. Some might only be good for a few months, while others might be barely worn and last for several years. We offer used tires in 3 different grades. All come with our exclusive “Trouble Free, 30 day Guarantee and free road hazard protection” Warranty. 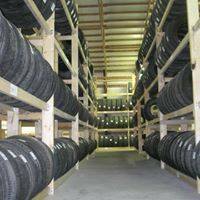 With over 2,000 used tires in stock we are bound to have what you need. Grade A – Minimum 3/4 tread, no irregular wear, no patches, no more than 5 years old. If you plan to keep your vehicle for less than a year, used tires are probably your best bet. Over 1 year, you are usually better off buying new tires.